AfricansAct is going to Make it, or Make it! Sitting in a hotel in Addis Ababa, Ethiopia, on the eve of the African Union Summit, a group of Kenyan artivists (@zawadin, @saramitaru, @NiNanjira) have started a conversation about the links between social media and social change in Africa. This is an era where we have access to so many tools to support the work that we do, but there are also many challenges. We would like to hear what other Africans have to say across the continent and in the diaspora. If you are currently using social media, are committed to creating positive and progressive change in Africa, want to ensure that 2011 was the #lastfamine, and are available to lend your voice to this conversation, please use the hashtag #AfricansAct and share your thoughts, blogs, case studies of social media campaigns, and let’s figure this out together. The impetus for this discussion actually came from being frustrated about the severe lack of statistics on internet usage in Africa, as well as specific statistics about active twitter users in Africa, especially given that we have witnessed several global trending topics that have emerged from the continent. How is social media being used for social change in Africa? What are some of the effective social media for social change campaigns you have witnessed or participated in, in Africa? What does it take to drive an effective social media for social change campaign? What defines a successful social media for social change campaign? Is it enough just to trend, have thousands of followers/fans? How do you know that your social media campaign is leading to social change? Did you know about the #LastFamine campaign? If yes, what did you think about it? 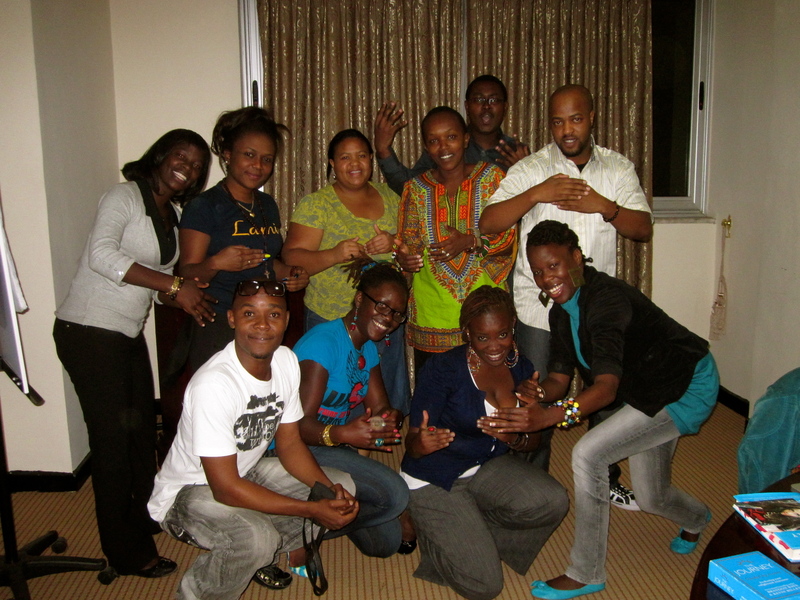 What are some of the challenges we face in Africa with using social media for social change? Is there a need for an African “spring”? What will Africans online be remembered for? Please feel free to post comments here or via twitter using the hashtag #AfricansAct. The African Women’s Decade – Year 2! Did you know that 2010-2020 has been designated as the African Women’s Decade? I have AWD on my mind because I am in Addis Ababa, Ethiopia, facilitating a Solidarity for African Women’s Rights (SOAWR) Coalition meeting that starts today. It’s shocking though, that as a self identified African feminist, the first I ever heard of AWD was through a blog written my one of my favorite Afropolitan sisters in the twitterverse @MsAfropolitan on the 1st year anniversary of AWD last year. So back to the AU Summit. One of the items on the agenda for discussion is the Special Emergency Assistance Fund for Drought and Famine in Africa (SEAF). As much as I understand the importance of having an emergency fund, I wonder if this is really where our leaders need to be focusing their energy, when there is absolutely no reason why anyone should experience famine anywhere in Africa to begin with! How about dealing with the actual problem, rather than creating band-aid solutions that will probably lead to the development of yet another mis-managed fund that will cost even more to operate than will actually benefit the people it is intended to. Am I being a pessimist here? Are they for real? High moment? I’d rather leave you with my high moment for today – listening to Sara Mitaru’s (@saramitaru) freedom song, “Make Way”. Welcome to “Zero By Zawadi”! “Zero By Zawadi” is an expression of all of who I am. She came to me one morning during meditation at the end of November 2011. After an incredible life transforming month of Ayurveda in Kerala, I was at Zero. Zero is an amazing place to be because anything is possible. Zawadi, my name, means “gift” in Kiswahili, the language of my nation, Kenya. Through “Zero By Zawadi” I hope to be a blessing to other people, as many have been a blessing to me. I trust that this is the beginning of a beautiful journey and I look forward to walking with all the people I will meet along the way. My first @ZeroByZawadi design is a khanga yoga mat bag. I hope this will be a vessel that carries the mats that thousands of people like you will sit or stand on as you set intentions for your life and the people that matter most to you. Salamba Sirsasana, the King of all asanas, is now a part of my daily yoga practice. May you be Fierce In 2012!